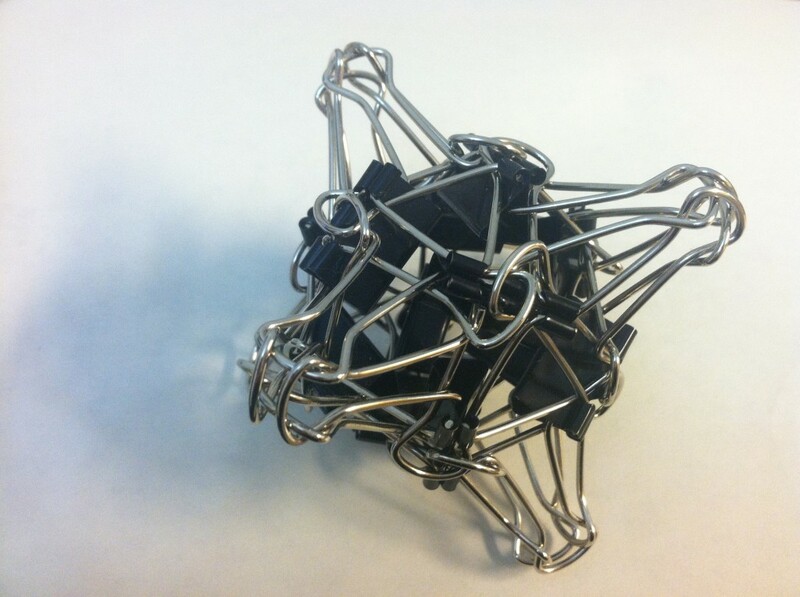 My friend Zach Abel has come up with an impressive assortment of binder clip sculptures. 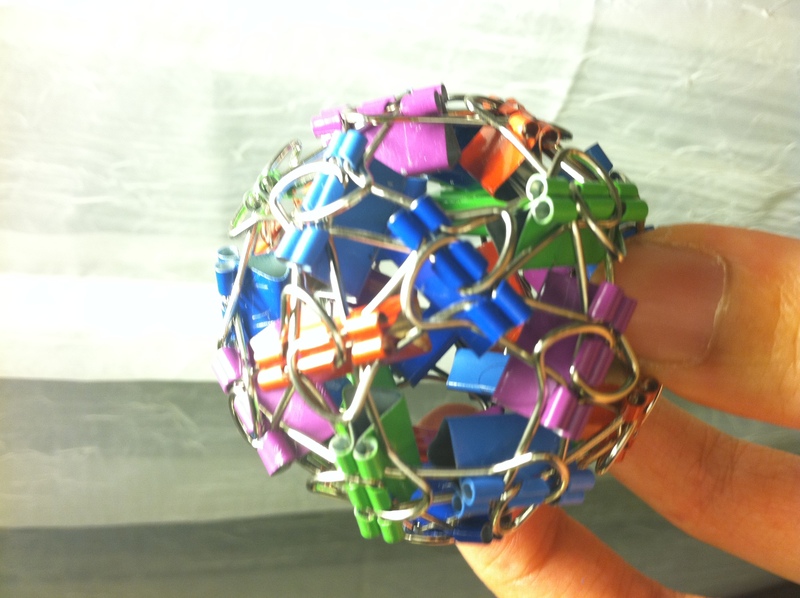 I love the idea of taking everyday objects and turning them into amazing things, so I felt compelled to try making some of my own. 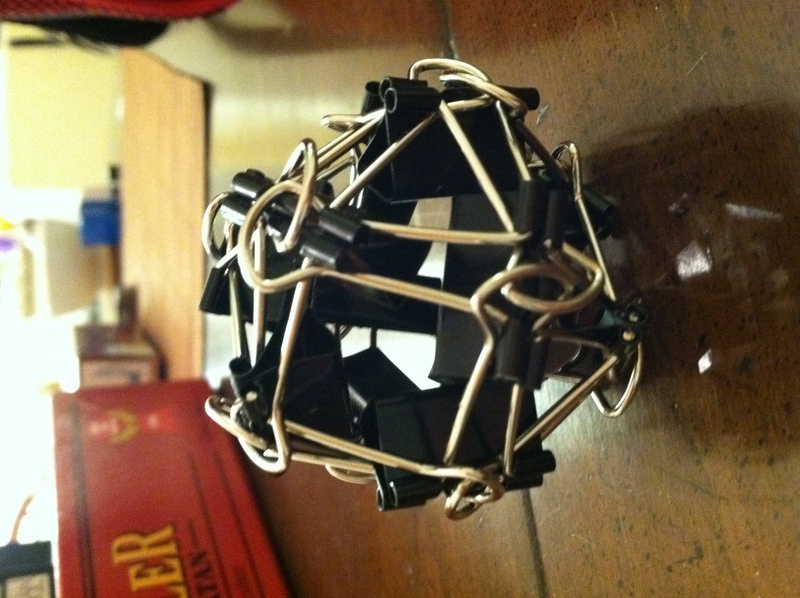 I used the join that Zach uses for his Clipped Corners to create a cuboctahedron (my favorite Archimedean solid!). 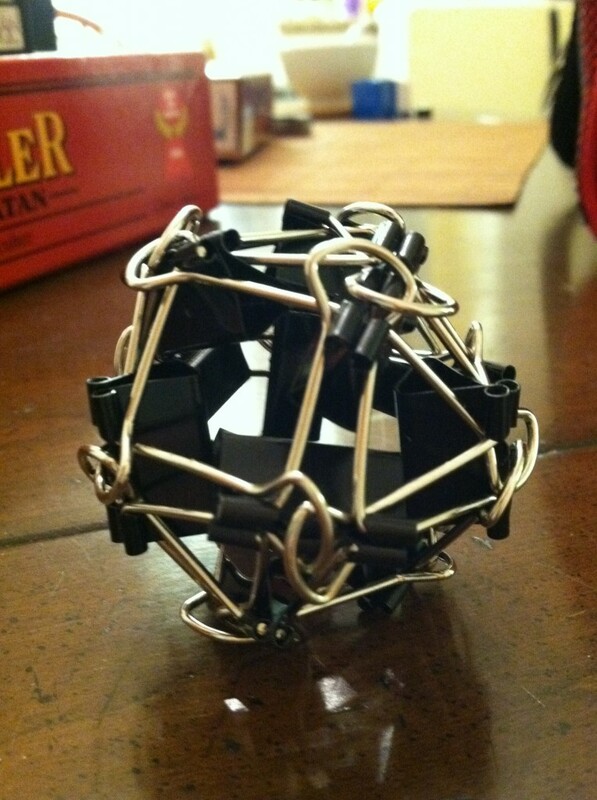 I then added some extra binder clip handles to add points and accentuate the octahedral symmetries. Somewhat surprisingly, these extra handles can slot into place and from quite a rigid sculpture. 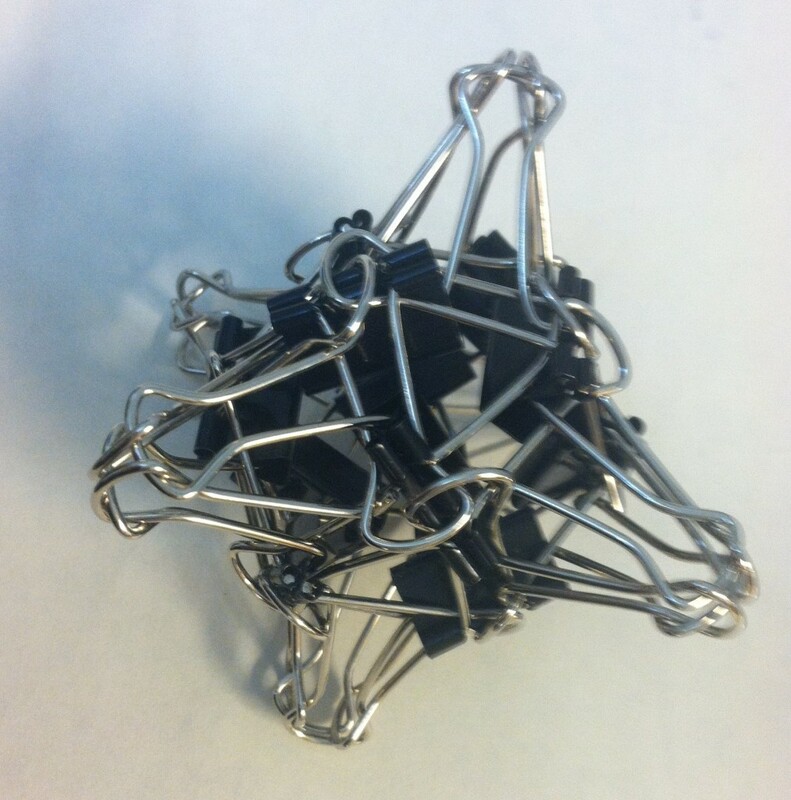 Some of Zach’s sculptures use fewer handles than clips, now there is a way to make use of all of those excess handles! 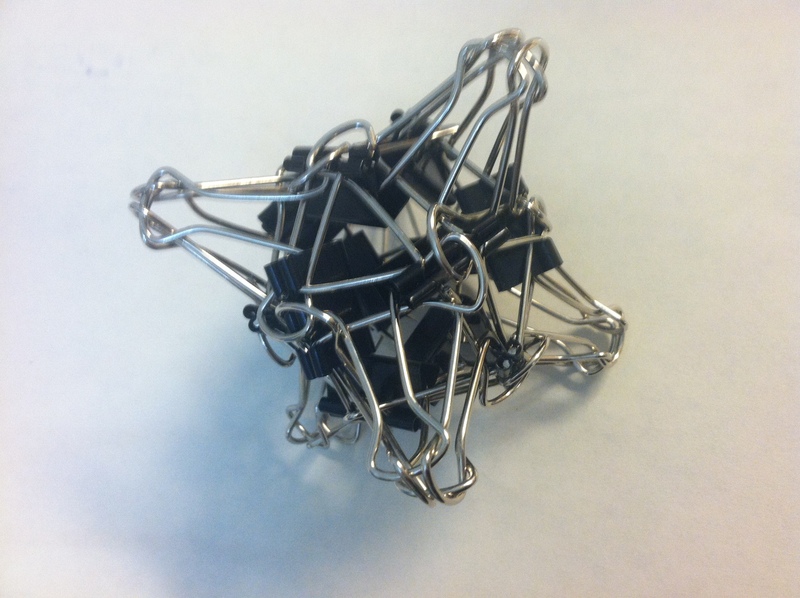 It turns out that you can get binder clips in many colors, so it seemed obvious that some of the sculptures should show off the symmetric colorings associated with their symmetry groups. 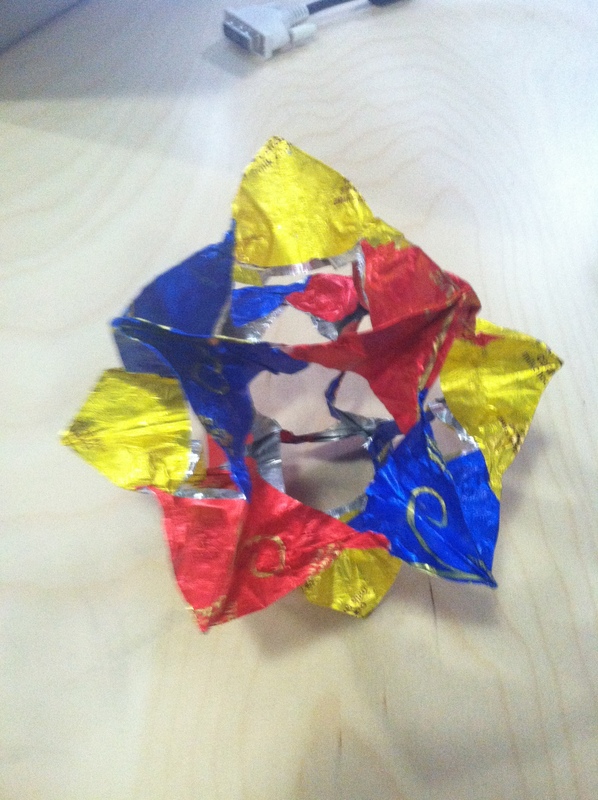 The Icosahedral group has a nice five-coloring and a nice six-coloring. 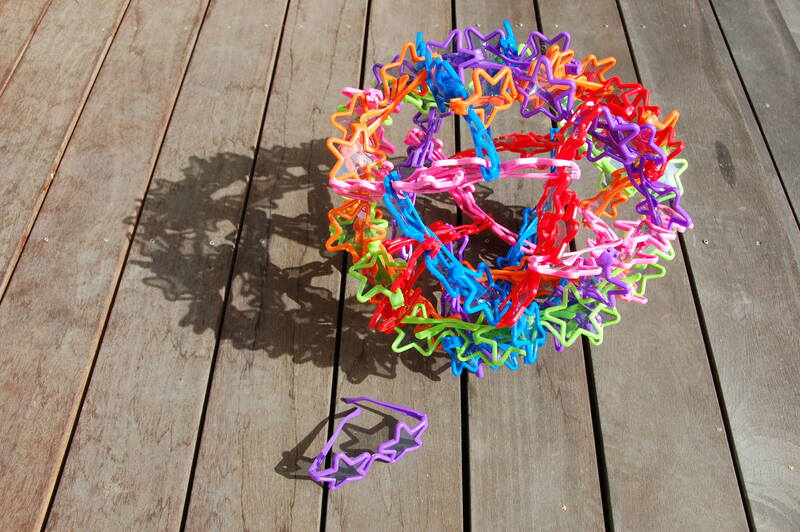 I used miniature binder clips to create this five-colored version of Zach’s Clipped Corners sculpture. Perhaps I will eventually make a six-colored version sometime to round out the set. 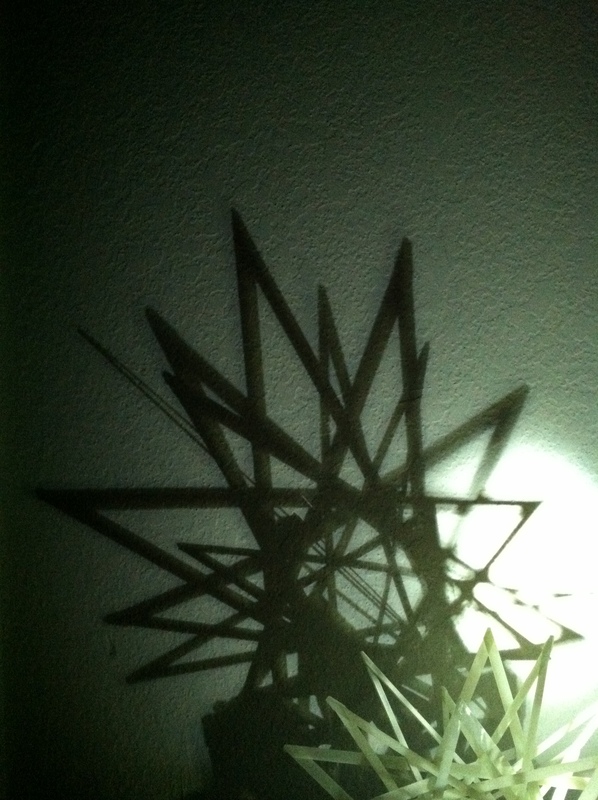 This entry was posted in Life, Math Art and tagged binder clips, geometry, project on April 7, 2012 by hawksley.